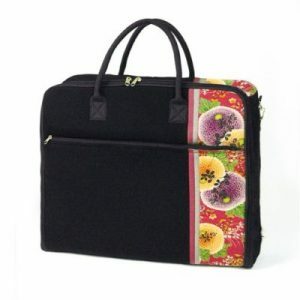 Beautiful, beautiful kimono bags …. my love of kimono and various ‘kimono inspired bits and pieces‘ show through on this post! I would love to hear your feedback if you are a lover of kimono too. This particular bag opens up for the traveller to place in things that they don’t want to be creased. I suppose it is just like a western suit bag ??? 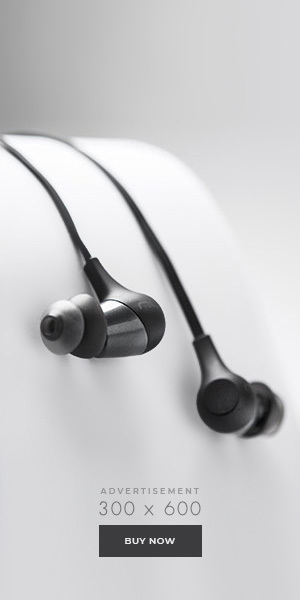 but specifically designed for the kimono user. The pockets are much more useful, I think. Quite a few readers on my site kimonobox have asked for more insight into the kimono and accessories. So I am detailing this particular bag on Amazon Japan. 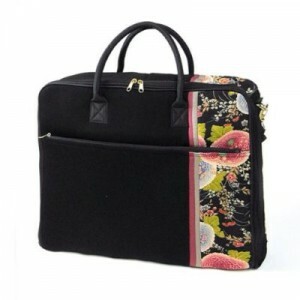 For those who don’t need the full suit type bag there are other variations of handbags created in the chirimen material that so epitomizes Japan and its culture. I know that many people collect shoes, but collections of bags are also popular. What about you, what do you collect?